First appearance on C4’s Embarrassing Bodies this week (Tuesday 27th May). It was great to meet the team – Dr Dawn and Dr Christian – and fascinating to see how the show is produced. I’ve gained respect for the people who appear on the show and realise that many of them have tried very hard to get help for their condition before but without success. This entry was posted in Dermatology, Embarrassing Bodies, News and tagged Channel Four, dermatology, embarrassing bodies, skin, TV. Bookmark the permalink. 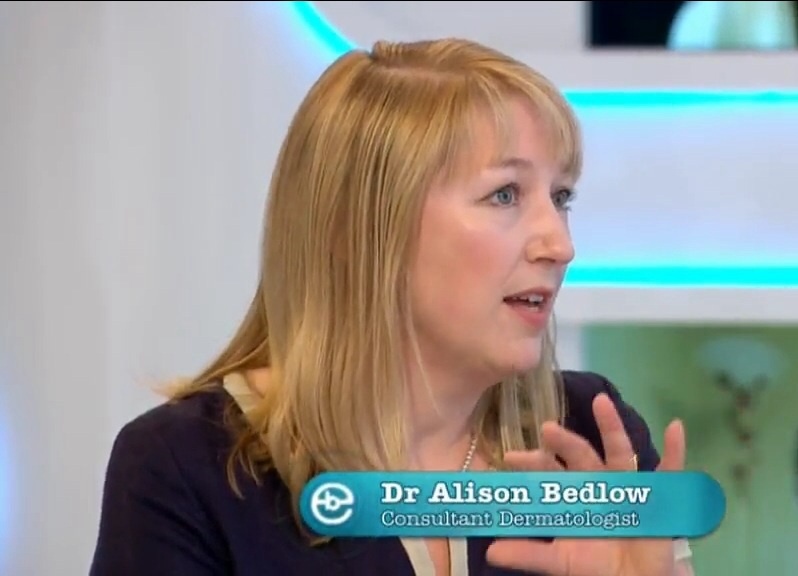 Dr Alison Bedlow is a Consultant Dermatologist for South Warwickshire NHS Foundation Trust. She also has a private clinical practice at Nuffield Health Warwickshire Hospital. She qualified in 1990 at Kings College Medical School London.